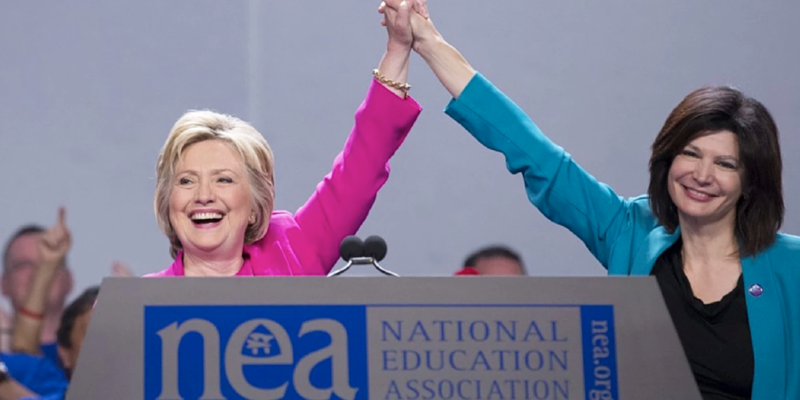 The Washington Post reported yesterday that Hillary Clinton addressed the governing body of the 3-million member National Education Association. Although she received their overwhelming vote of endorsement for the general election, she also heard boos as she outlined elements of her education platform. Kumashiro is dean of the School of Education at the University of San Francisco, and recipient of the 2016 Social Justice in Education Award from the American Educational Research Association. He said today: “Educators are skeptical. Journalists and bloggers have spotlighted Clinton’s close ties with Bill Gates, Eli Broad, and others of the wealthiest drivers of modern-day educational policy and practice who have reframed the conversation from schooling as a public good to schooling as a business or commodity. Among her closest advisors are those who previously advocated the appointment of Arne Duncan, whose legacy as Obama’s Secretary of Education is the magnification, not reversal, of some of the most destructive elements of the Bush-era No Child Left Behind. “Not surprisingly, the optimism among many within and alongside NEA who supported Obama in 2008 is greatly tempered by the acknowledgment that, during the past eight years, we have seen a willful ignoring of educational research. Instead, our nation followed the seductive rhetoric that the solution lies in ‘higher standards’ and ‘accountability’ in the form of high-stakes testing, privatization and marketization, the de-professionalization of teaching, and the closing or take-over of schools and subsequent fracturing of the communities they serve. In reality, the gap between the schools for the 1% and the schools for all others has only widened, even as our leaders claimed to be serving those who struggle the most. Thus the booing of any priorities in Clinton’s platform that even hint at a continuation of failed ‘reforms.